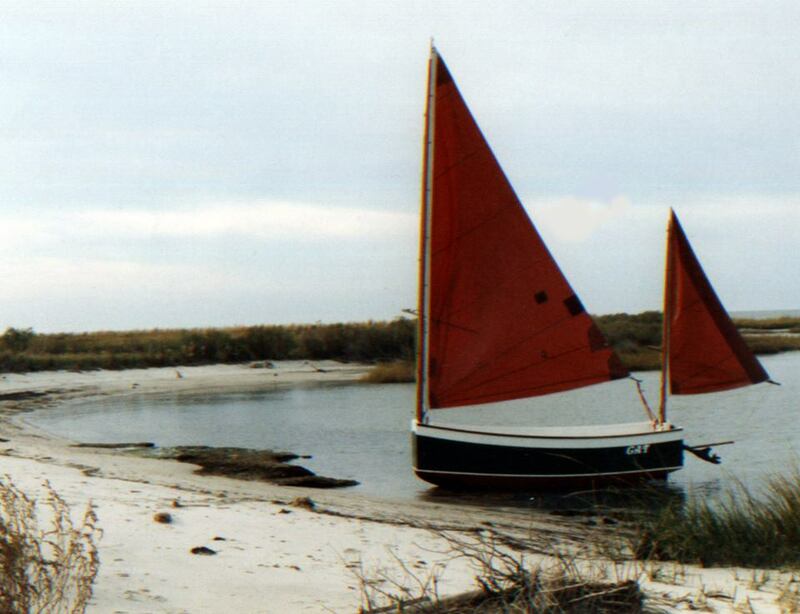 NanoShip is a 13-foot daysailer/camp-cruiser, based on the "Devon Beer Luggers" of the UK south coast. 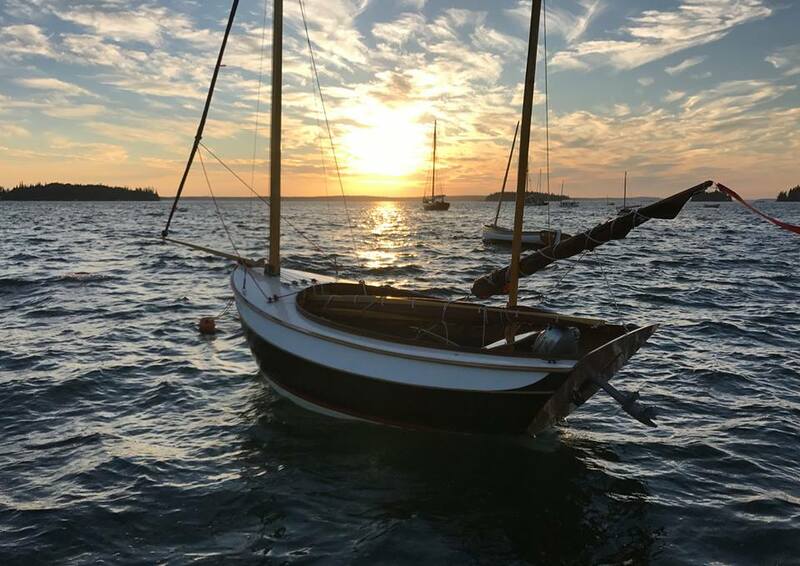 The prototype was built by several teams of students at the WoodenBoat School over two summers, and finished last winter at CLC in Annapolis. 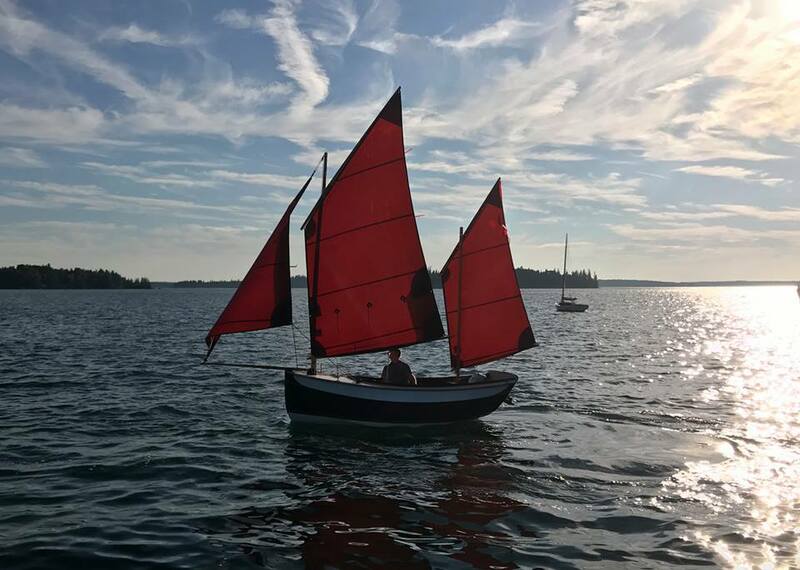 I fretted that the heavy displacement (almost 700lbs minus crew) and divided rig would make her stodgy, but she's a delightful sailboat, fast and lively on all points. 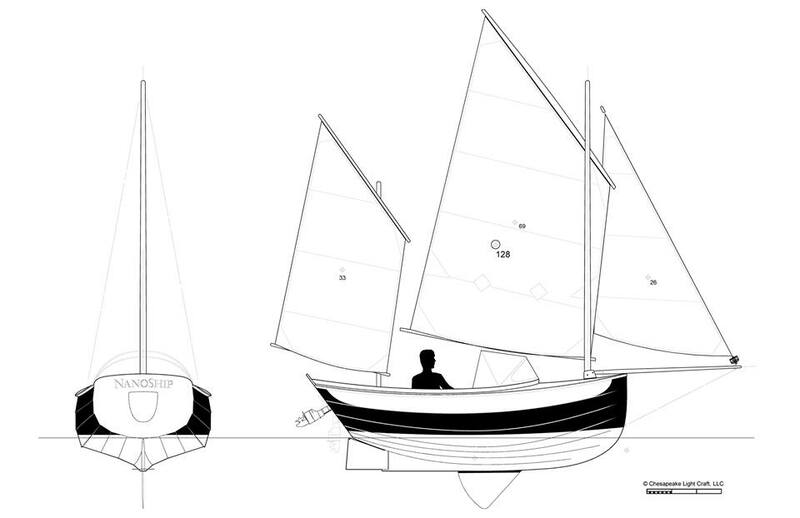 Sketches of boats like this started appearing in my notebooks in high school, 30 years ago now. 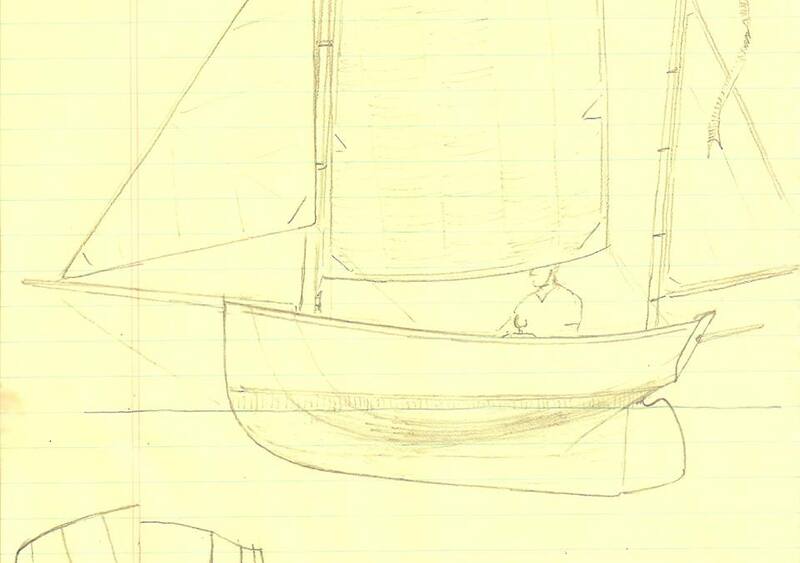 I found this in a collection of teenage-era boat drawings, easily datable because it's on lined paper. 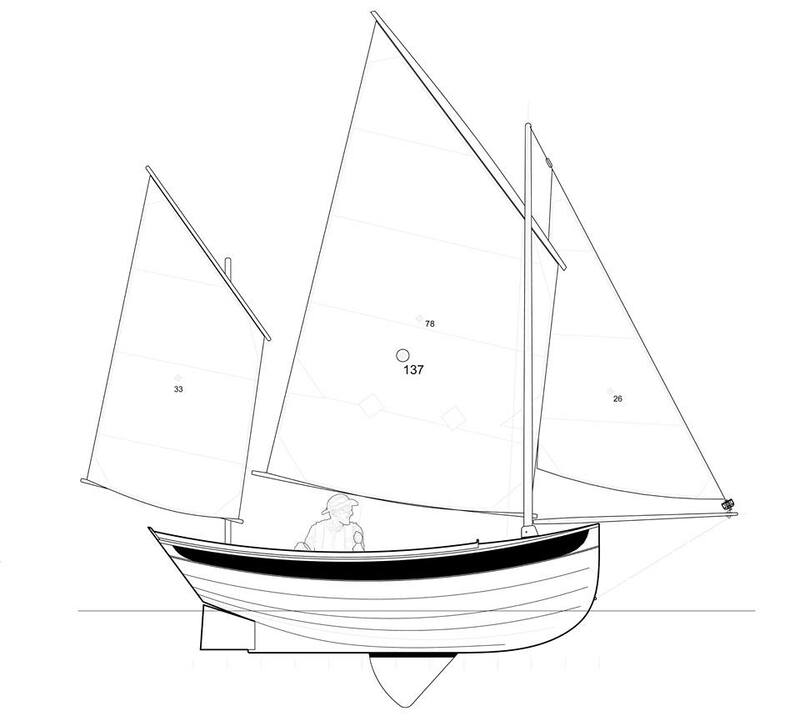 The design brief is outwardly simple: A small, stable boat with proper seats. 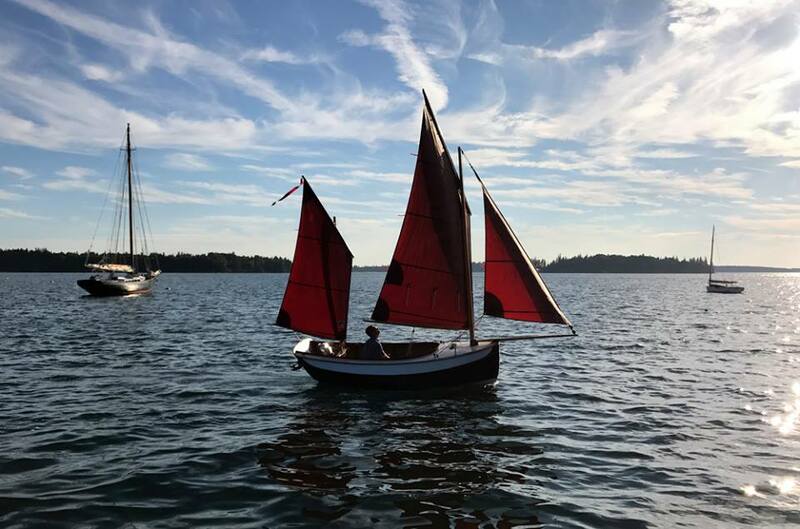 I have 20 years worth of correspondence from people who want small monohull sailboats, but don't want to have to sit on the floor while sailing. This is an interesting physics problem. 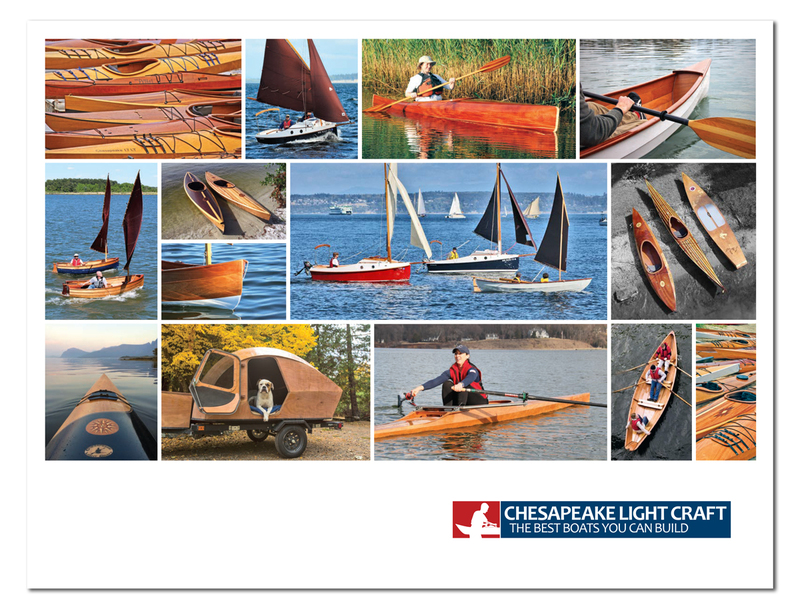 Most of CLC's small sailboats weigh less than 120lbs. If the crew weighs 185lbs, you're going to have to keep your weight low and centered most of the time. In other words, sit on the floor, or the boat will simply fall over. 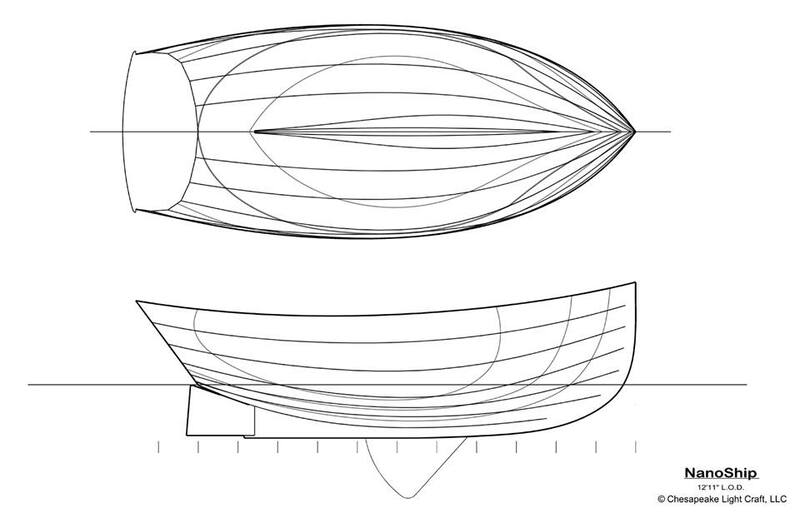 The absolute lower bounds for a monohull with side-bench seating seems to be around 650-700lbs empty displacement. NanoShip gets there in part with 375lbs of water ballast. 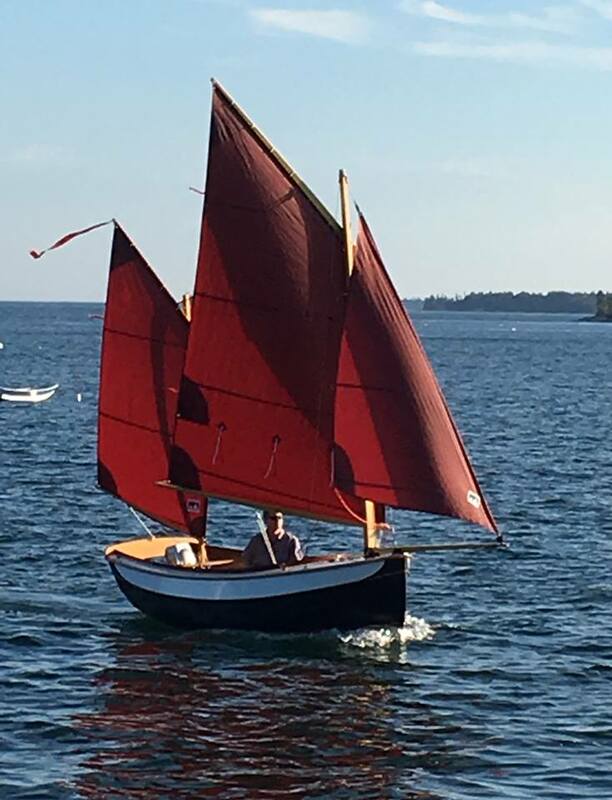 One of my models for this design was the Phil Bolger-designed "Oldshoe," an 11'6" yawl with a ballast keel. 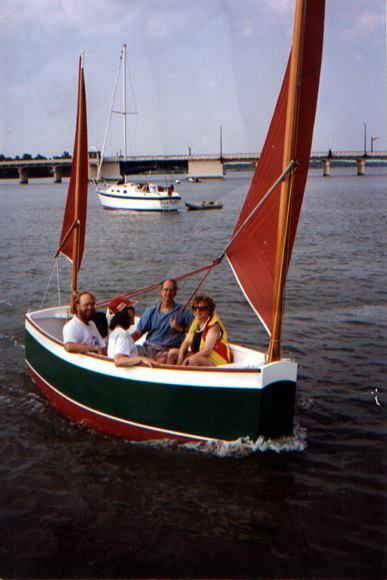 I built this boat when I was a freshman in college, to use for frostbiting once the dinghy-racing season was over. "Oldshoe" is a remarkable design, if you can get past the boxy looks. Sailed like a champ, all kinds of sprawling room. 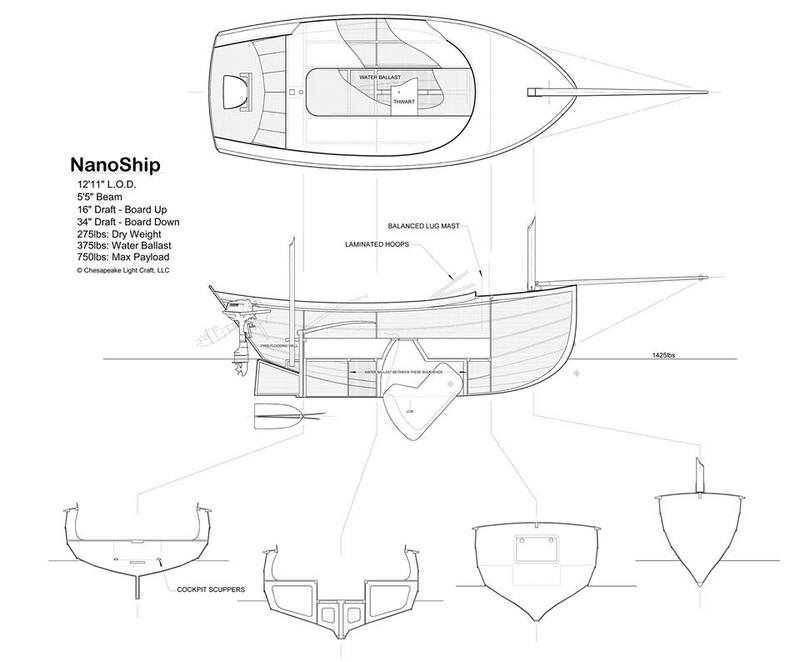 Some features of NanoShip's interior layout were stolen wholesale from "Oldshoe." "Oldshoe's" ability to carry a huge load without stopping is amazing. I was hoping to fit four adults in NanoShip, though some choices in cockpit and deck layout make that difficult in practice. 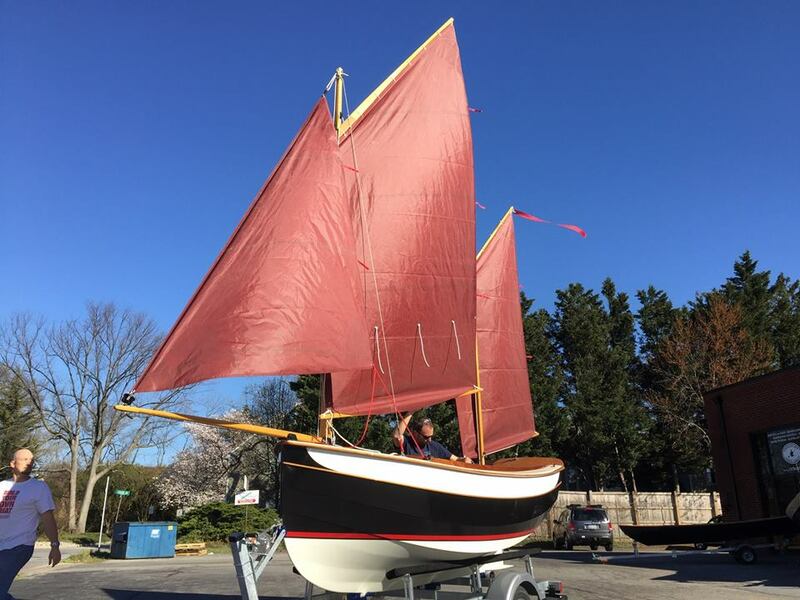 A Devon Beer Lugger from England, the inspiration for NanoShip's lines and rig. 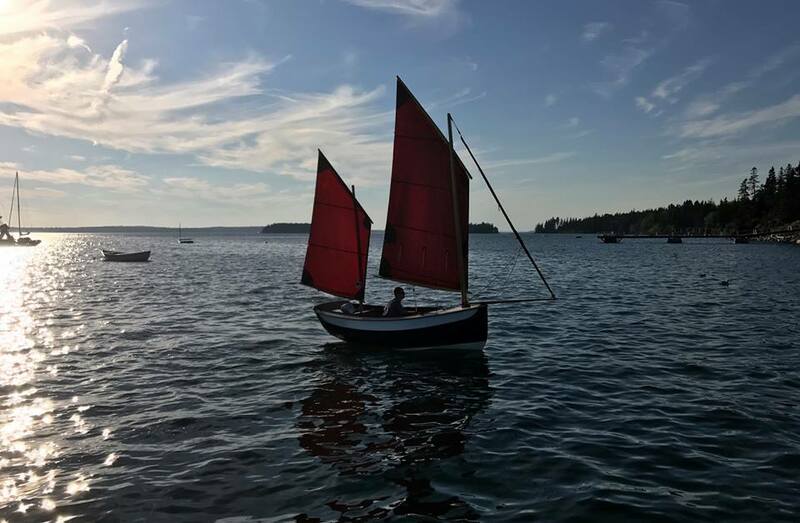 These were small open fishing boats that were sailed off beaches. The challenge with NanoShip was to come up with the smallest possible "footprint" for ease of construction and storage in small spaces, with the largest possible payload and stability. 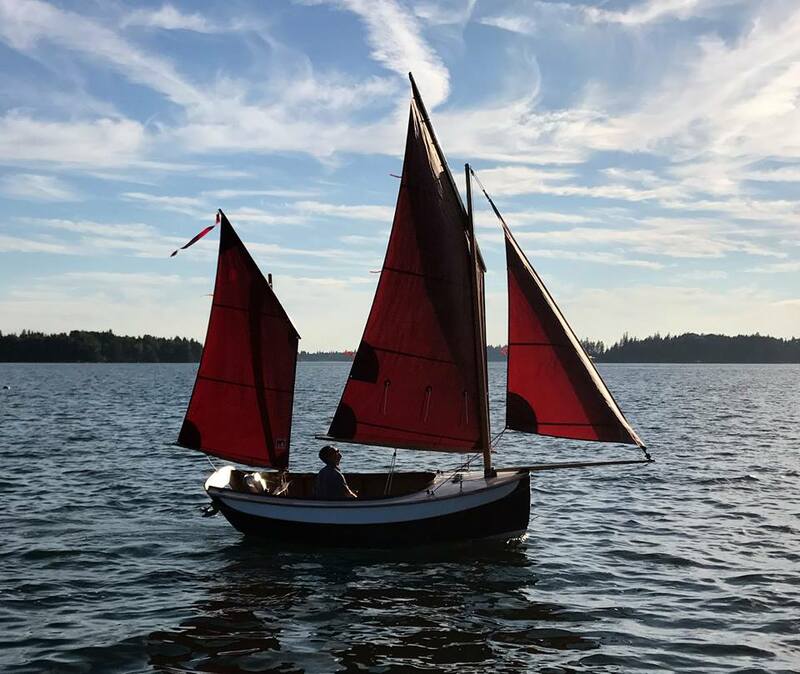 But it had to sail really well, not just kinda okay. And of course it had to be easy to build stitch-and-glue style without a mold! It took many iterations before I ran out a set of lines that checked all of the boxes. Lots of volume above the waterline, clean lines below. One lesson I keep relearning is that when you package a big boat in a small footprint, you still pay for the big boat. Though straightforward to assemble, and a reasonable second boat for an amateur, NanoShip has a high parts-count! 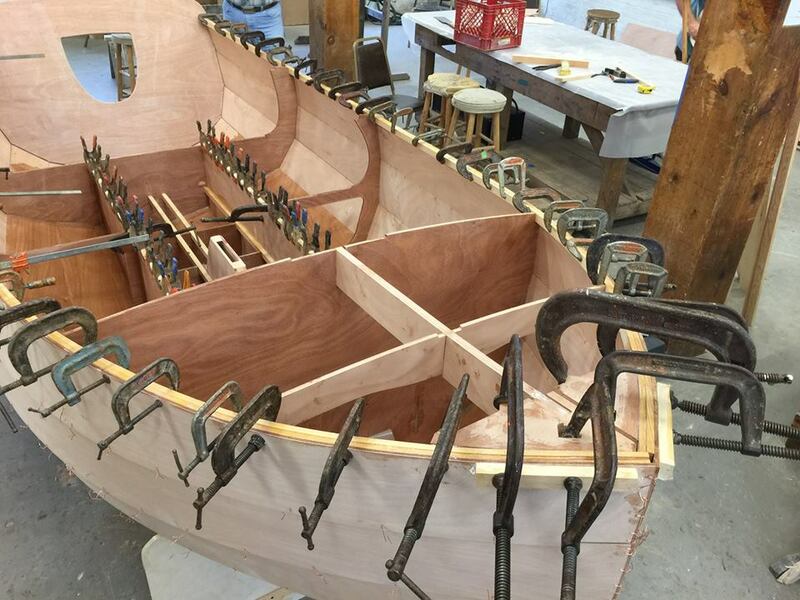 The rounded coaming looks like a million dollars, but took about a thousand clamps and several days to execute. 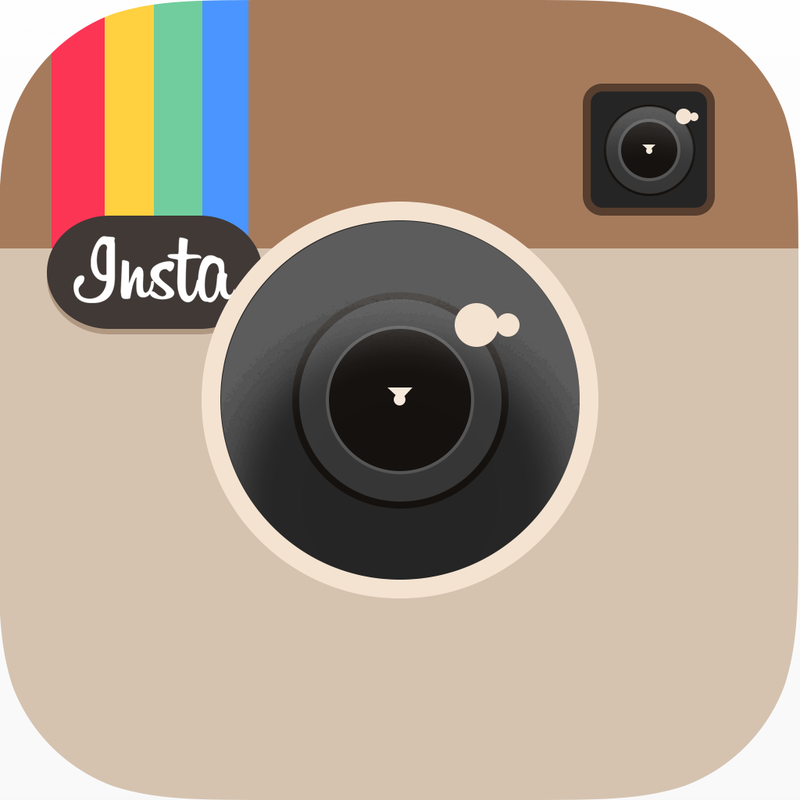 This feature will be dropped in an eventual production version. Only 12'11" on deck, but NanoShip looks enormous on the trailer. 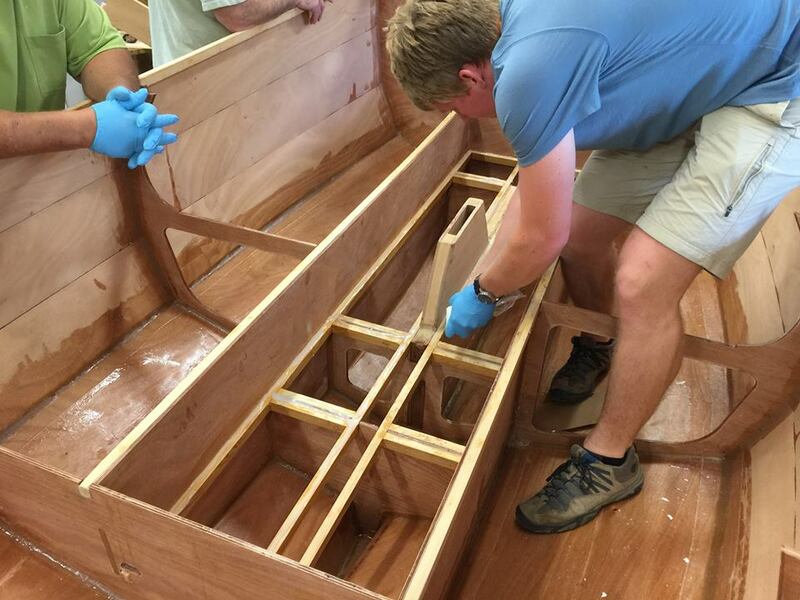 The end of the bowsprit is more than six feet off the ground! 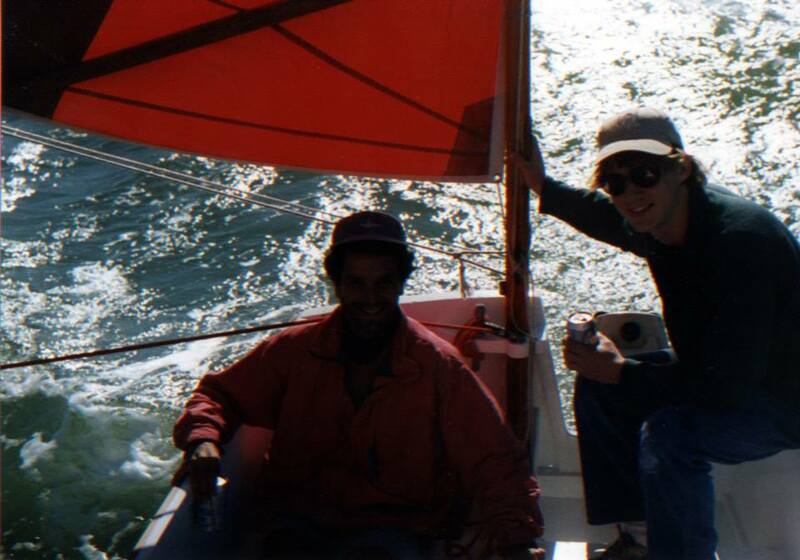 I finally got in a lot of good sailing once the water ballast was sorted out. NanoShip is faster and more fun than I had hoped. And cuts a striking figure on the waterfront. 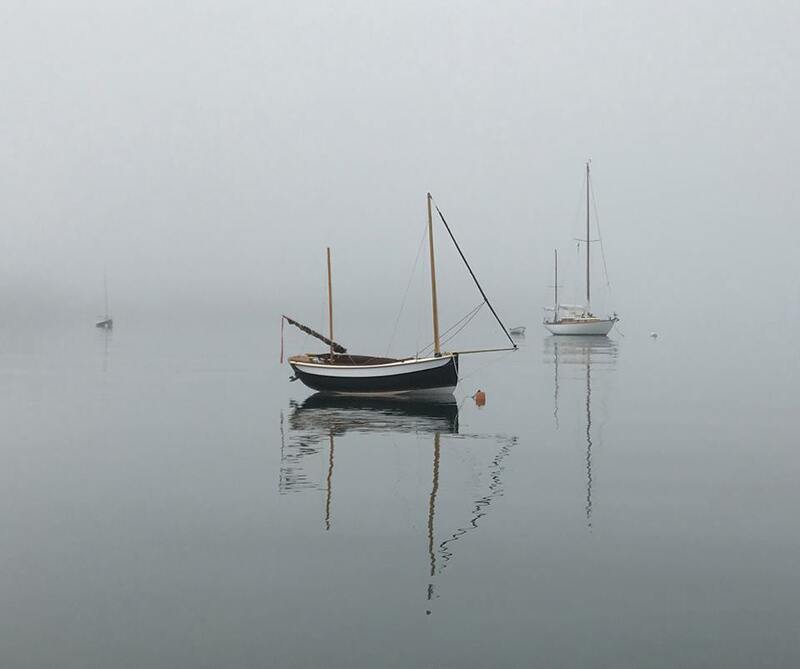 Sailing on Eggemoggin Reach in Maine. The outboard engine concealed in the raking transom worked great from the start. Very easily driven for so much volume! 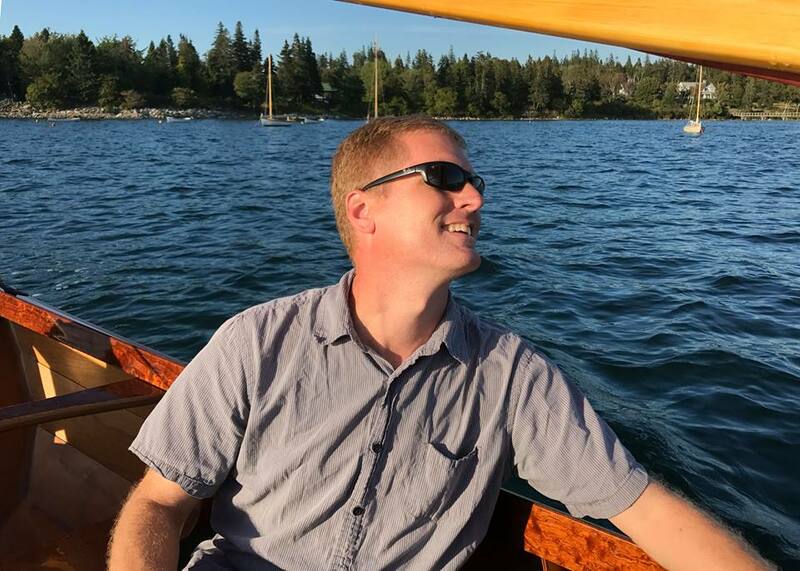 The boat feels perky and fun. 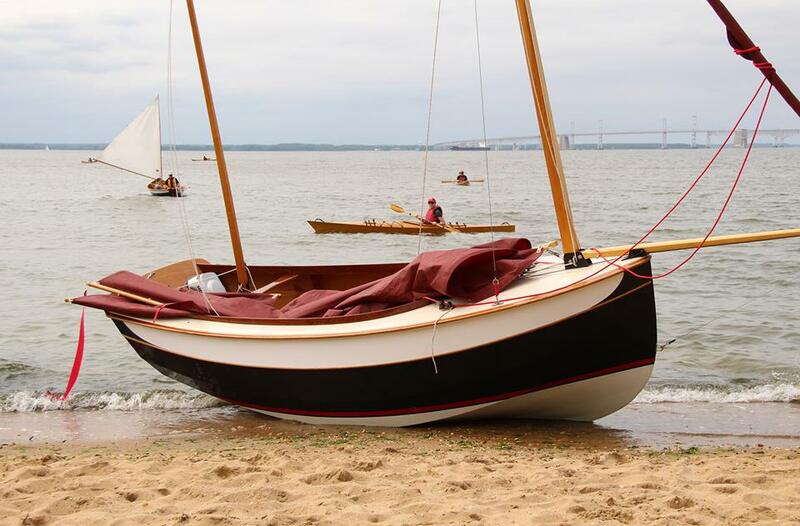 Easily beachable, just like the original Devon Luggers. A delighted designer. The helm balance is really dialed in. Just a few degrees of weather helm, perfect! After some early aches and pains, NanoShip is a thoroughly enjoyable little daysailer. A design adventure, and ultimately one of the most complex design briefs I've ever undertaken. This exact version won't be going into production. We want to change the cockpit layout to make NanoShip still roomier, raise the sole to improve draining of the self-bailing cockpit, and work on reducing the parts-count to make her quicker and easier to build. Thus, here we have NanoShip 3.0. 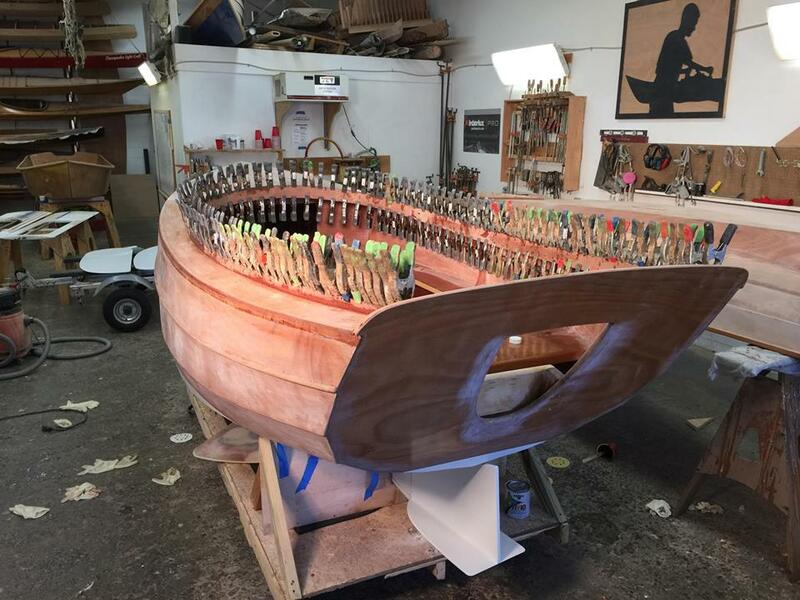 The stern has been pulled out 6" for a flatter run aft. The sheer is lowered a few inches and the 'midships section slackened a little. 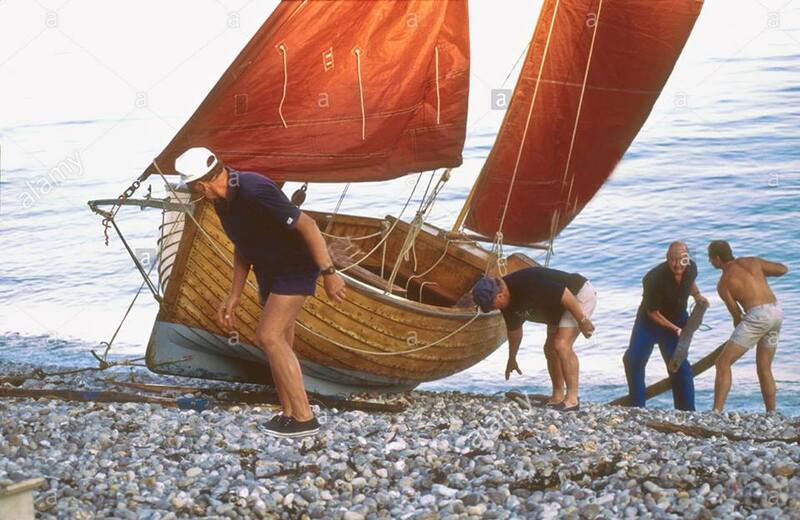 The extra hull length allowed the mainsail area to be increased about 10%, not that the boat ever felt under-canvassed. The adventures continue.